Observation - Ancient beech - UK and Ireland. Description: Beech clinging to eroding Cotswold escarpment showing shallow exposed root structure. 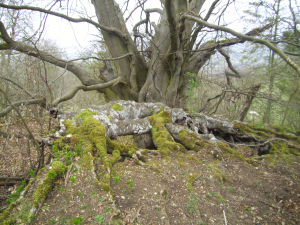 Beech clinging to eroding Cotswold escarpment showing shallow exposed root structure.